Back to China again for this ukulele review with a musical instrument brand name not really known to me before now. That brand is Mugig and this is their Cutaway Mahogany Concert uke. Some housekeeping before we get into it. 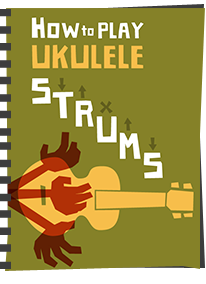 I have quite publicly said recently that I am no longer going to review ukuleles that are ONLY available on Amazon (i.e. those that are not in bricks and mortar stores as WELL AS Amazon) due to some marketing practices that don't impress me one bit. 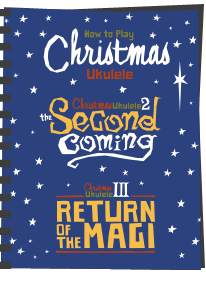 They include playing games with prices (setting stupidly high RRP's and low sale prices - 'ooh what a bargain'..) and sending out free ukuleles in return for favourable reviews. Such tactics seem to be the preserve of the 'Amazon only' brands, who are using them to manipulate Amazon rankings to appear higher on search results. I am NOT saying that Mugig are doing either of the things I mention, but they ARE Amazon only so fall into my policy by default. Saying that it DOES have nothing but 5 star reviews... So why am I reviewing it? Well because I bought this one for review some months ago before these marketing tactics became more commonplace. I did NOT get this one for free in return for a review, it's sitting there on the shelf so I figured I would write it up. It will be the last Amazon only model though! Let's move on. So yes, Mugig are a Chinese brand, and to be honest, I lose track these days as to which brands are connected to each other (another marketing tactic I don't like as it confuses the buyers). I 'think' that Mugig may have connections to Enya and perhaps some others, and..... oh... I just don't know any more - it's just getting too confusing. Cut to the chase - Chinese brand - only available on Amazon.. you get the picture.. This is a concert scale ukulele made from laminate mahogany and I don't mind admitting that at first glance I think it's rather attractive. 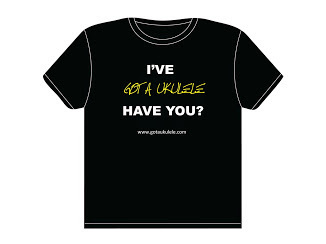 Whilst you may think that 'double bout' ukulele shapes (narrow waist, bulge at the top and bottom) are all essentially the same, they actually differ quite a bit. Some are far more 'swoopy' (for want of a better term) than others, and I think this is one of those. It's a narrow waist and curvy in shape and I rather like that. The top, back and sides are two pieces of laminate each, and the back is very slightly arched. The wood grain is nothing much to look at, and extremely simple in fact, but it does look to be put together ok. It's paler than I like in mahogany, but there you go. The whole thing is finished in a satin that shows the pores in the wood although it does have one or two ugly finish flaws alongside the edge bindings. In typical Chinese / Amazon fashion it's described in the product description as having 'environmentally friendly logs and an elegant paint surface which makes the ukulele more outstanding'.. Yeah, whatever. Does anybody actually get taken in by this rubbish? For decoration we have a veritable feast. First up we get dark wooden (or dark stained wood) edge binding to the top and back and on top this is complimented by some mother of pearl inlaid purfling. It all looks rather nice. There is nothing around the sound hole though, which seems odd for a model so blinged up. Eagle eyed readers will have spotted the dark wood 'comfort edge' chamfer on the lower bout and also a filled in cutaway chamfer on the upper bout, also in dark wood. Things like comfort edges were once the preserve of the high end boutique ukulele, and cutaways like this one certainly were the sole preserve of the high end. It's a feature that allows easier access to the upper frets, but is not a true through the body cutaway - kind of a half and half. I must say, it's very nicely done on this one, but I do wonder exactly why it's needed. Without wishing to sound arrogant, this is a cheap entry level ukulele, and likely to be bought, in the main, by beginners. One does wonder how much call there is from such players to be going quite so high up the fingerboard, but there you go. It's doing no harm I suppose and is a nice 'feature'. A talking point if nothing else. The bridge is made of rosewood and is a pin style bridge that I always have a soft spot for. 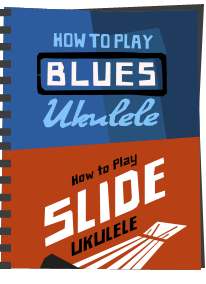 The design layout looks absolutely identical to the bridge on the Muke ukulele I reviewed some weeks back. Remember what I said above about there being brands within brands and it's hard to keep track? Yep.. that. Fitted into this is a compensated saddle made of bone. The whole bridge assembly looks pretty tidy to be fair. It's only reasonably tidy inside though with masses of glue seepage around the notched linings and braces that look far too chunky for my liking (and far chunkier than laminate needs). That's a shame. The neck is made of Okoume wood covered in the same satin finish as the body. It's jointed at the heel and the headstock and is typically Chinese in profile - rounded C shape, narrow 34mm nut and not particularly remarkable in any way. Topping this is a rosewood fingerboard in pretty good condition, but not edge bound so you see the fret ends that they have made a bad job of trying to hide with dark stain. It has 18 nickel silver frets with 14 to the joint. These are only dressed reasonably well though, and whilst not super sharp, you can feel them and they do need dressing. We have pearloid dot markers at the 5th, 7th, 10th, a double at the 12th, and one at the 15th. Sadly there are no side markers at all. Beyond the bone nut we have an interesting enough shape on the headstock which also displays the Mugig logo that is laser etched. 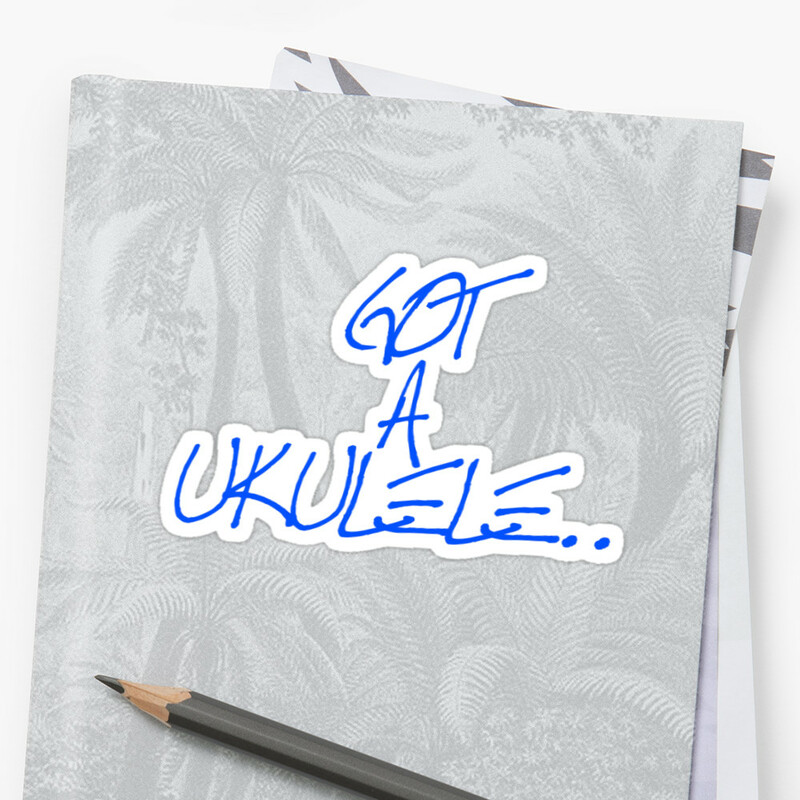 Is anything NOT laser etched on cheap ukuleles these days? Tuning is provided by sealed chrome gears that are branded Mugig. The buttons are nice and small but looking more closely at them, they are obviously really cheap with casting seams on the buttons and flaws in the finish of the gear casings. Using them also shows off their low price point as they are all different tensions to each other, one having a noticeable grind. Not nice. Completing the package are Aquila strings and a thin branded zippered gig bag. And for that you are looking at the remarkable RRP price of £46 though I've seen them even lower for around £36. I can't find a concert model in the US, but their soprano of identical spec is linked below at $46. Incredibly cheap really, especially with this sort of decoration. It feels light enough in the hands but is very slightly neck heavy which is a disappointment. That's surprising when you consider the chunky braces, so perhaps those cheap tuners are the culprits. I've seen much worse, but it is there. Set up is in need of some work too. I mentioned the sharp fret ends above, but the saddle needs taking down too and there is an uneven fret at the upper end. These are the pitfalls of buying from Amazon only and one of the reasons I have changed my policy. Dealers do set ups and weed these things out or fix them. Amazon don't. That matters, particularly for beginners. Tuned up and the first thing that struck me about it was the lack of any punch and volume. Sustain is only average, but I just really wanted it to deliver more than it does in terms of bite. It's pretty weak all round really, and whilst something like the Isuzi only really displayed that lack of volume when picked, this one is lacking no matter how you play it. I've tried all sorts, and it just has no real bark. Perhaps that could be forgiveable if the tone had something about it, but sadly it doesn't win any awards here either. It's boxy, almost echoey and very one dimensional. There really isn't much life to it when picked and when strummed it just ends up a bit confused and muddy. Bell like, jangly and crisp this is not. So that sounds like a total character assasination, but bearing in mind it's clearly a beginner instrument perhaps I should find the positives. For 95 % of first time buyers, I suspect this will suit them down to the ground and I have certainly heard a lot worse for much more money than this one will cost you. It's NOT a terrible ukulele at all to be fair. But if you go up only a small amount in price you will find things with MUCH more characterful tone and better projection than this one. You will find them in spades. OK, they may not have the fancy cutaway that most people won't even need, but they WILL sound better. And surely that's the real key isn't it? As such, this comes across as a ukulele with high end appointments, that sounds and plays far from a high end ukulele. In fact, the price of ukuleles like this is also making things hard for me as a reviewer. There was time when a £36 ukulele could be a very hit and miss affair with some REAL horror shows on the market. Thankfully the quality at the lower end has improved pretty dramatically in recent years and this is of course a good thing for a beginner buyer. Had I reviewed a £36 ukulele five years ago with a build like this I may have been raving about it.. But if they are so much better now, why are people not buying these in their droves and sticking with them and ONLY them? Why is there still a market for higher priced instruments? 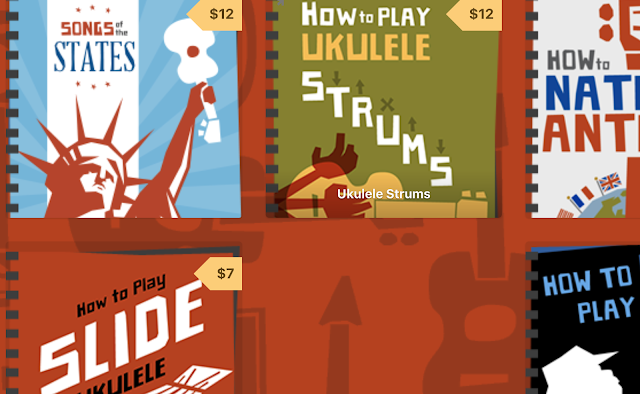 The reason they are not of course is that there is SO much more to a ukulele than price. 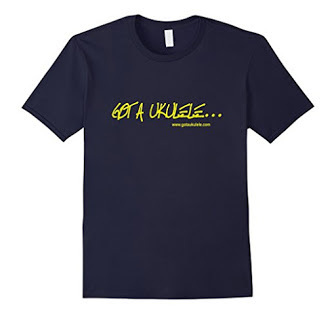 In fact I find the current trend to get the cheapest possible deal you can get with a uke to be quite depressing. I've seen it on Facebook, almost like it's a challenge to get the lowest price instrument possible and then rave about it.. Ugh.... A ukulele is a technical musical instrument for goodness sake, not a throwaway purchase. And feeding the 'cheap' machine is only going to create more of these, perhaps driving prices so low as to be utterly pointless. And to what end for the broader market? It's a worry. So yes, this one is cheap and I have to reflect that in my scoring as it's a simple matter of fact, but do pay careful attention to the other parts of the scoring and the full review. For that reason, £36 or not, I wouldn't bother with one. And I didn't even need to mark it down for it's 'Amazon only, confusing multi brand Chinese heritage..' but, as it turns out, I didn't really need to. Not for me. Hi! I commented about buying one of these Amazon Mugig concert ukuleles a few weeks back on another bit of the site, and I'm back to tell you about it, if that's of any interest. Mine was also £36, and has the samw bridge and neck as your Mugig one. The inside looks the same, but no glue mess, and this one is sold as mahogany and is very shiny and varnished. This only looks a bit shabby where the neck joins the body, as it looks very thick around the edges. Main odd point is that although sold as Mugig, it has the name 'Jiale' painted on it and on the label inside. It's my first concert ukulele, and I quite like the soft sound, but I would agree that it sounds identical to the one you are playing in the video, a bit 'meh' compared to others I have heard. It's mine, and I love it, but my next will be better researched. Thanks for all your good work!